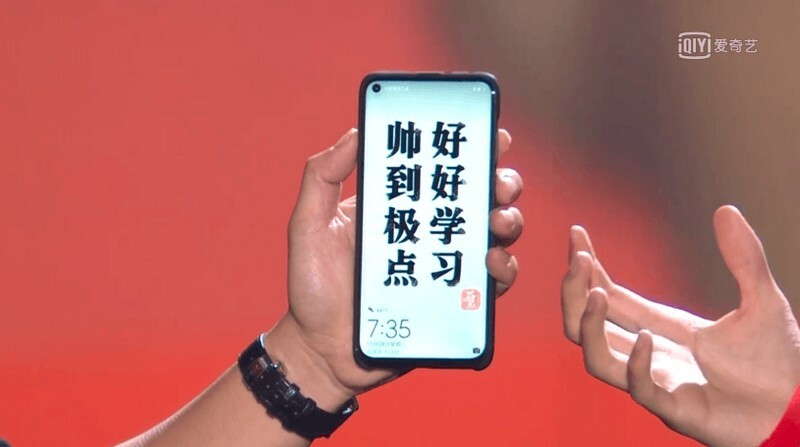 Just a few days ago, Huawei shared the teaser poster of an upcoming smartphone that will have a hole in the display to accommodate the front camera. 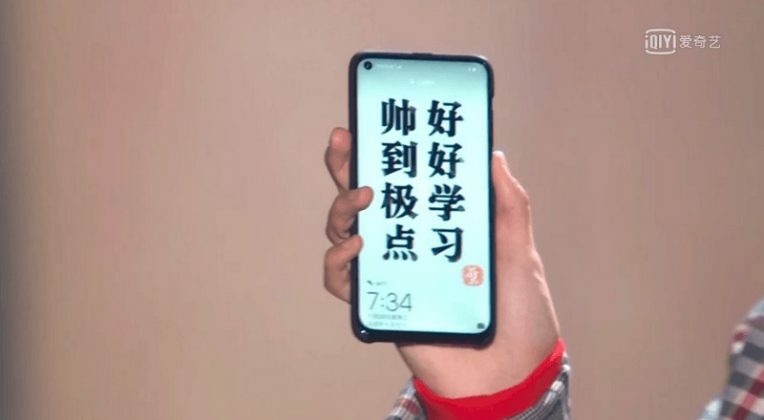 Live images of the upcoming smartphone, alleged to be the Huawei Nova 4, have now been spotted, which give us our first glimpse at the device’s minimalist design which ditches the notch in favor of a hole in the display. 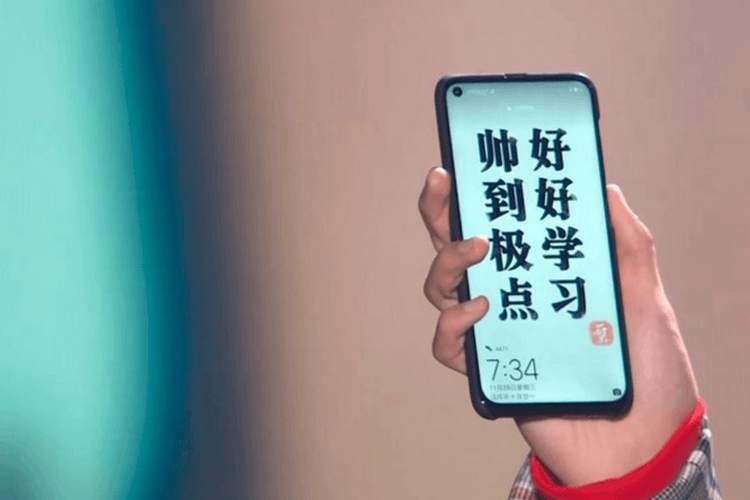 The device was reportedly shown off at an event celebrating the 18th birthday of Chinese singer Jackson Yee, and from the looks of it, the Nova 4 will have an edge-to-edge design with a very small chin at the bottom. Going by the naming convention, the Nova 4 will succeed the Nova 3 and will be a flagship device. Not much is known about the Nova 4’s specifications at the moment, however, some reports suggest that the device will have Kirin 980 at its heart, the same SoC which powers the company’s flagship Mate 20 Pro. 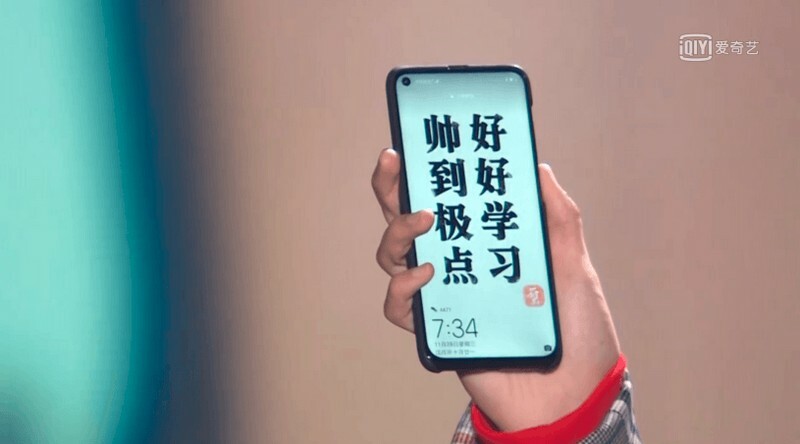 Here are a few other images of the Nova 4 that were spotted at the event in China. 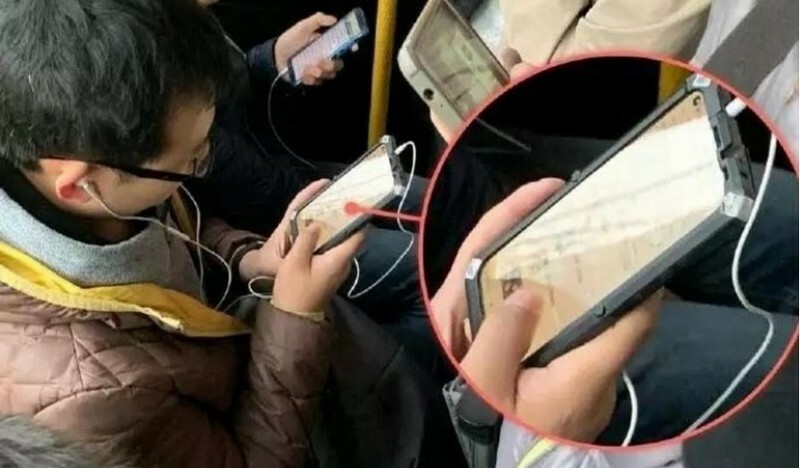 Another leaked image of the alleged Nova 4 suggests that the device will retain the 3.5mm headphone jack after an individual was spotted using the device. The phone will reportedly come equipped with an AI-assisted triple rear camera set-up and an in-display fingerprint sensor. The Nova 4 is expected to be officially unveiled in China on December 12, however, details about its international availability or estimated pricing remain unknown. If you compare the design of the Nova 4 with concept renders of the Samsung A8s, you will notice an uncanny resemblance between both the devices. 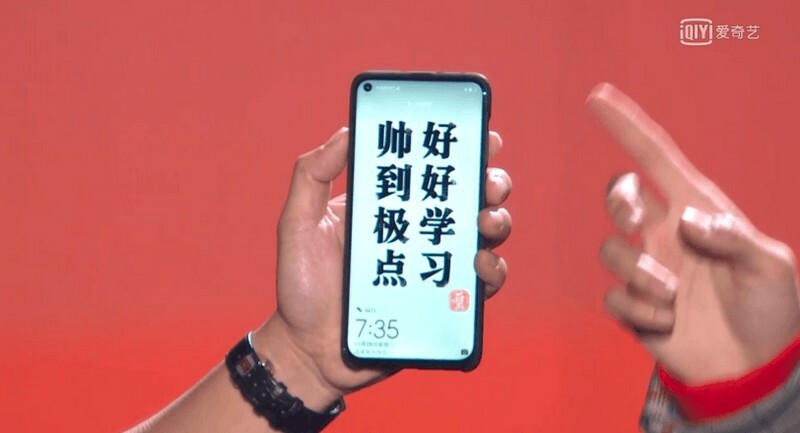 The location of the display hole on the Nova 4 is also similar to the Infinity-O design showcased by Samsung which has a hole drilled at the top-left corner of the display to house the selfie sensor and might arrive with the rumored Galaxy A8s which might be unveiled in January next year.